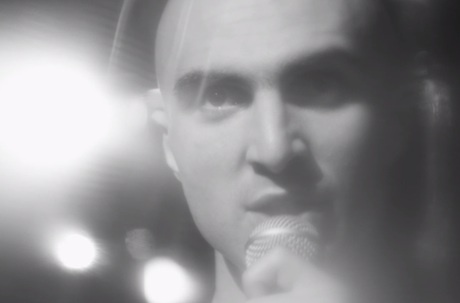 Montreal duo Majical Cloudz have liberated "Love Soul," an outtake from their Impersonator recording sessions, and with it they've let loose a new interactive video. The visual piece, which was directed by Mitch Moore, showcases the band as they perform in a dark, hazy ballroom with plenty of chandeliers. The black-and-white, soft focus camera work lends an ethereal quality to the work. Best of all, every time you click on the screen it switches to a new camera angle. Check out the video for "Love Soul" below. To watch in full-screen or download the single, go here.